Lenovo has launched the ARM-powered Miix 630 2-in-1, and refreshed its Thinkpad lineup at CES 2018. The former is the company’s first Snapdragon-powered Windows laptop, part of the new breed of Always-Connected PCsfrom Microsoft. 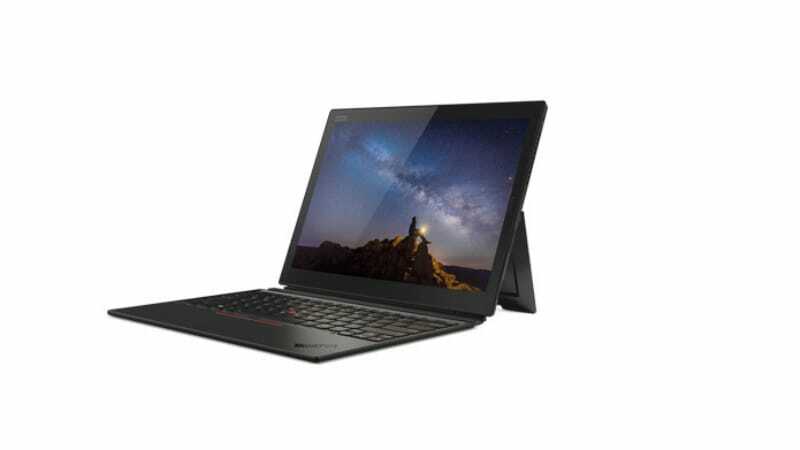 As for the latter, Lenovo has announced refreshed notebooks with new Carbon, Tablet, and Yoga models as well as a newly updated ThinkVision X1 monitor. 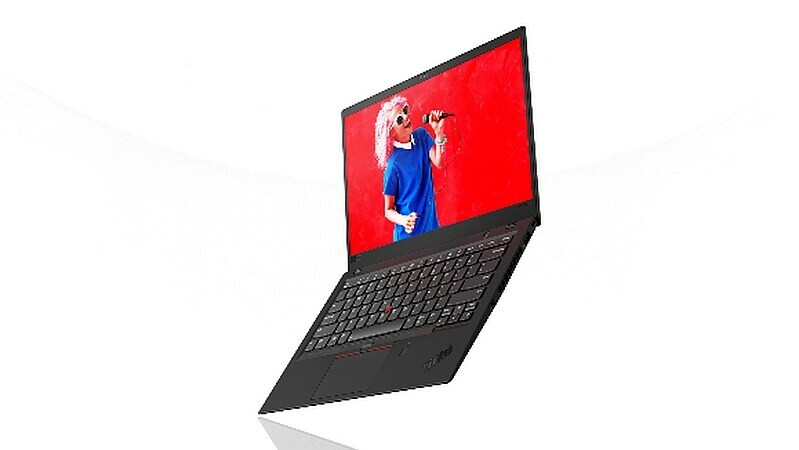 Earlier this year, Lenovo had already introduced its ThinkPad T, L, and X updates for 2018. Lenovo has bumped the processors on the devices to 8th-generation Intel Kaby Lake apart from adding universal USB Type-C charging. However, the most interesting additions to the new laptops are Amazon’s Alexa voice assistant and support for the Dolby Vision HDR format. Also new, is the Google smart display device, called the Lenovo Smart Display. The Lenovo Miix 630 2-in-1 runs Windows 10 S, and like other Microsoft Always-Connected PCs, features LTE connectivity. It is powered by the Qualcomm Snapdragon 835 SoC, and comes bundled with a Windows Ink-supporting digital pen capable of 1,024 levels of pressure. The 2-in-1 ships with a detachable keyboard, including which it is 15.6mm thick and weighs 1.33kg. It sports a 12.3-inch WUXGA+ touchscreen display, allowing the 2-in-1 to be converted into a tablet when the keyboard is detached. The Miix 630 2-in-1 price starts at $799.99 (roughly Rs. 50,900), and it will go on sale from Q2 2018. Lenovo has pitched the ThinkPad X1 Carbon as ‘the world’s lightest 14-Inch business laptop’. It retains the basic design that comes with a light chassis built using advanced carbon fibre composite. It meets the MIL-STD 810G standard for durability. The 14-inch device has received a few significant upgrades. In terms of display, Lenovo has added Dolby Vision high dynamic range (HDR) support for dynamic colours. Display options range from full-HD IPS to full-HD IPS with touch, and WQHD IPS to WQHD IPS HDR with Dolby Vision. The laptop comes with Intel’s latest quad-core eighth-generation Core processors (up to Intel Core i7 with vPro). Lenovo has promised a battery life of up to 15 hours. The ‘Rapid Charge’ battery, adds up to 12 hours in a one hour of charging. The memory in the device is up to 16GB LPDDR3 RAM and storage is up to 1TB PCIe SSD. When it comes to security, Lenovo’s new ThinkShutter Camera Privacy feature enables users shut the webcam to avoid privacy issues. It has retained the IR Camera and Fingerprint Reader in combination with Windows Hello. Also, there is now a touchscreen variant for the ThinkPad X1 Carbon. The ThinkPad X1 Carbon comes with a Global LTE-A wireless option that provides portable connectivity. Finally, the device packs new microphones with 360-degree Far Field Communication that provides voice control and web call support even if the user is at a distance. The ports in the device include two USB 3.0 and two Intel Thunderbolt 3. The ThinkPad X1 Carbon starts at $1,710 (roughly Rs. 1,08,500) and is available in January. 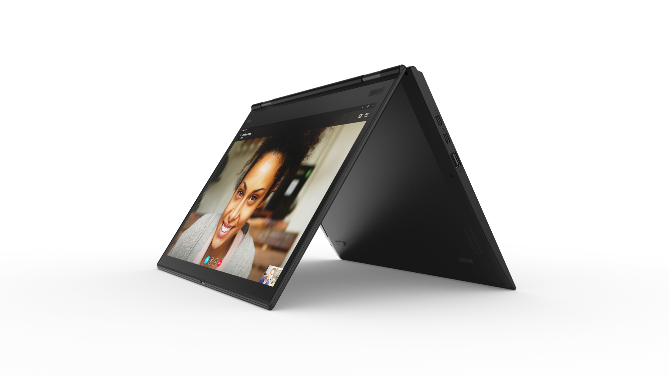 Lenovo has refreshed the ThinkPad X1 Yoga in a third-generation model that also packs the Intel 8th-gen processor (up to Intel Core i7 with vPro) as well as the Dolby Vision HDR display as seen on the X1 Carbon. The new features are similar to the Carbon variant, such as 360-degree microphones and Alexa support, ThinkShutter, fingerprint scanner, and up to 15 hours of battery life. The 14-inch laptop comes in a convertible format as the Yoga sports a 360-degree hinge. The storage and memory capacities of the device are the same as ThinkPad X1 Carbon. The Lenovo X1 Yoga starts at $1,889 (roughly Rs. 1,19,800). It will be available later this month as well. The detachable ThinkPad X1 Tablet has also been refreshed in 2018. It packs a new 13-inch 3K display compatible with HDR2, a new ThinkPad keyboard, and the optional global LTE-A connectivity. This one packs the same processor of up to 8th generation Intel Quad Core i7 with vPro. Lenovo says X1 Tablet supports natural interactions with a new pen, facial recognition via IR camera, and all-day battery life. The latest Lenovo Pen Pro technology comes with 4,096 levels of pressure sensitivity. The ThinkPad X1 also had the new infrared camera that offers facial recognition for Windows Hello support, apart from the fingerprint scanner. While the RAM is the same as the other two devices, the storage capacity is up to 1TB PCIe NVMe SSD. The Lenovo ThinkPad X1 Tablet price starts at $1,600 (roughly Rs. 1,01,500) and will be available this month. The refreshed ThinkVision X1 monitor comes with a 27-inch 4K IPS display. The updated 27-inch UHD display features a thin 4.7mm profile and ‘near borderless’ bezels on all the four sides. 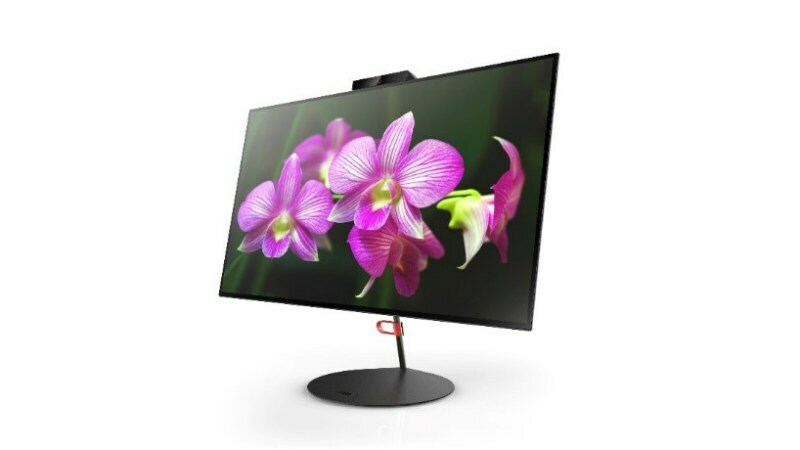 The monitor comes with a Thunderbolt 3 port, and HDMI 2.0, DisplayPort 1.2 connectors, and boasts of a 4K resolution and over 99 percent sRGB color gamut. The price of the ThinkVision X1 has not been revealed yet, but it will be available in January 2018 itself. 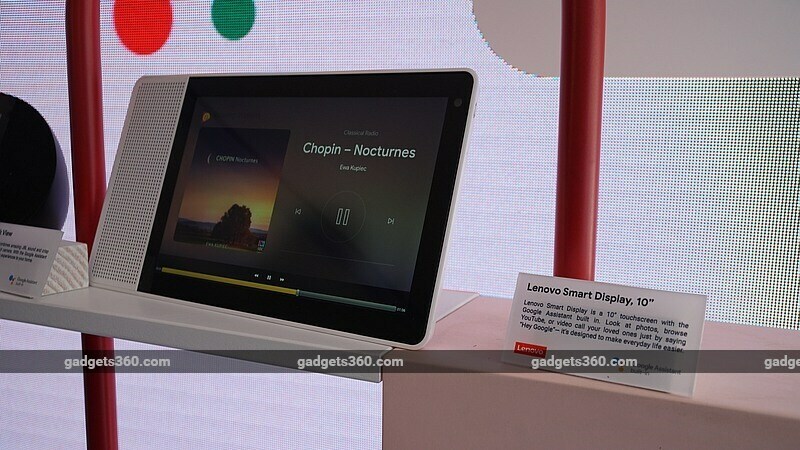 Google on Monday unveiled its smart display platform, and Lenovo has unveiled the first device in the new category. The Lenovo Smart Display is a smart speaker with a touchscreen that houses the Google Assistant. The price of the 10-inch Lenovo Smart Display starts at $249.99 (roughly Rs. 15,900) and that of the 8-inch model starts at $199.99 (roughly Rs. 12,700). Both the devices expected to be available early this summer, Lenovo said. For the biggest CES 2018 stories and latest updates, visit our CES hub.